We live in a world where dietary fats have been increasingly feared and avoided. With epidemic numbers of people experiencing heart disease, stroke, high blood pressure, obesity, diabetes, and cancer, health experts and professionals are starting to understand the significant correlation between diet and health. Things are finally beginning to change. We are finally starting to see the beginnings of the reversal of the indictment against fat and cholesterol. Health practitioners and other sources are now speaking out and admitting just how critical fats and cholesterol are to our health. Heart disease was almost non-existent in the United States until the 1920s, which was just decades after the inception of the Industrial Revolution. This shift altered forever the face of agriculture, manufacturing, mining and transportation. With the advent of packaged and processed foods, diseases and illness previously not observed began to surface. So what’s this business about red meats and other fats being unhealthy for us to consume? Make no mistake, doctors have historically advised patients to steer clear of saturated fats and cholesterol. But it isn’t a coincidence that these guidelines have been in place for the last fifty or so years and disease numbers have been on the rise. In fact, there are studies and bodies of research done by medical personnel which conclude that saturated fats and cholesterol are not the cause of heart disease, and are actually essential to health. If saturated fats are really the culprit of heart disease, there should be a corresponding increase in the consumption of animal fat in the American diet. However, the opposite is true. Intake of animal fats have actually decreased over the last fifty plus years. The reason red meat and saturated fats are under such scrutiny is because the majority of what people consume in the way of these foods is the industrially-produced variety. What does that mean? It means most of the food people are eating comes from conventional, commercial, and factory-farmed environments. These foods contain chemicals and pesticides. The meat, in particular – is raised in a way that meat was never intended to be raised. 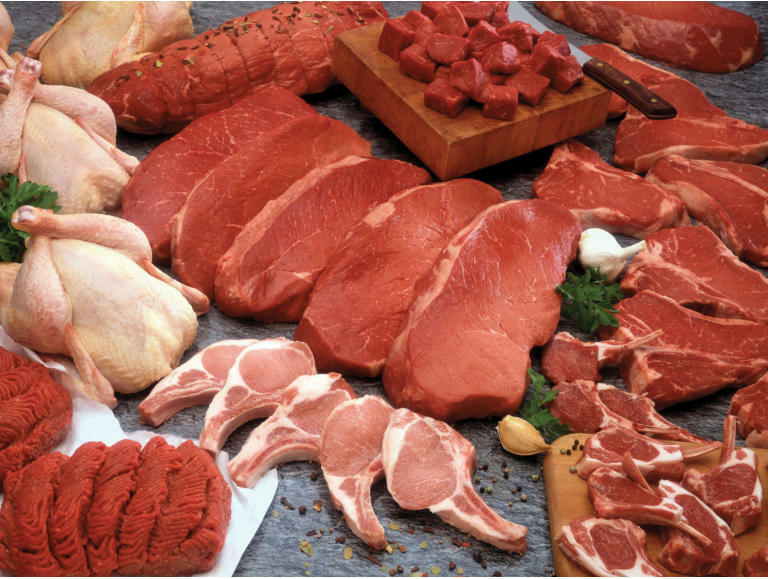 These meats are from animals fed the wrong kinds of diets. Cattle are ruminants and are intended to eat grass and hay. But instead, most of them also consume a large quantity of grains, soy, and corn. They are also administered growth hormones and steroids, and kept in confinement where they are not allowed to move around and live healthy lives. On feedlots, animals also stand around in their own waste. Does this sound like a place from where you would want to obtain food? Another important role played by saturated fats in our diets is that of aiding in the absorption of vital nutrients. An example are fat-soluble vitamins such as A and E. These vitamins are important anti-oxidants to the body which prevent free-radical damage to our cells. When you eat a low-fat diet, you reduce the amount of anti-oxidant activity necessary to keep harmful oxidation from occurring. Eating low-fat foods such as reduced fat milk and cheese can actually deficiencies. When our bodies are attempting to digest low-fat foods, certain nutrients needed by the body travel through and do not get absorbed. For example, calcium needs fat for absorption. So if you consume low-fat dairy or take synthetic calcium without the proper co-factors normally present in fat, your body will continue to experience a loss of nutrients unless you consume sufficient amounts of healthy fats. Other problems with low-fat diets are the lack of proper amounts and ratios of essential fatty acids. The human body does not produce essential fatty acids, so we must get these substances a balanced diet containing these nutrients. Omega 3s and 6s are important to health. Ratios of Omega 6 to Omega 3 are one to two times as many 6s as the 3s. Vegetable oils generally contain five to ten times the amount of Omega 6s than Omega 3s. In our processed and refined diets, Omega 3s are scarce, but there is an over-abundance of Omega 6s. The result is a widespread occurrence of Omega 3 deficiencies in our population. Consider the native diets of people all over the world. Eskimos of Greenland Eskimos consuming a traditional diet that consists of 80 percent calories originating from animal fats show no sign of heart disease. People of French descent, who maintain a diet replete with animal fats exhibit less than half the rate of cardiovascular disease as Americans. People residing in tropical locations and whose primary dietary fat is coconut oil have some of the lowest rates of death from coronary heart disease. Dr. Weston A. Price, author of Nutrition and Physical Degeneration, discovered these facts when he traveled the world in the 1930s. He expected to find out that those eating plant-based diets were the healthiest, but was surprised to uncover the opposite: all healthy populations he studied consumed some type of animal fat in their diets. Where do healthy saturated fats come from, then? Pasture-raised or grass-fed meats like beef, lamb, bison, pork, game meats, eggs from pasture-raised hens, pasture-raised poultry, raw dairy products from pasture-raised sources, safe-sourced fish and seafood. Read more in this interview with Dr. James Carlson, board-certified osteopath, family physician and clinical biochemist from The Weston A. Price Foundation, Red meat: bane or boon? Corporations selling margarine, shortening, butter substitutes, and refined vegetable oils make big profits selling their products, and they have successfully convinced the a sizeable portion of the consumer population that these products are superior for health. These products cost less to produce and people buy them because they have been told by advertising and health authorities they are also healthier to consume. These substances also contain a too-high ratio of Omega 6s essential fatty acids, and not enough Omega 3s – most often associated with lower rates of heart and other diseases. This imbalance of essential fatty acids is commonly known as one of the main causes of inflammation and disease in the body. Yet heart disease, obesity, and diabetes continue to be some of the worst and most prevalent health issues we as a nation experience. It should give most of us comfort to know that it is actually healthy to consume animal fats – those from healthy, grass-fed, organically, and sustainably raised animals. Not only they are healthy to consume, but delicious as well. Read more from Chris Kresser about why grassfed is best, Part I and Part II. Have you ditched low-fat foods? How long did you eat this type of diet?